Interesting take on Western African lore, but needs a stronger edit! I was invited to read this interesting book by the author a few months back, but due to my little financial mishap in December-January, I just put it past my mind. I definitely regret taking so long to pick it up, as there are many interesting things this book brings up, and infuses culture, what I took as particularly Western African culture in it's fantastical setting. There were things I both licked and disliked about this book. I find that the initial idea of this book is what would draw you in the most. But where it struggles is it's editing. 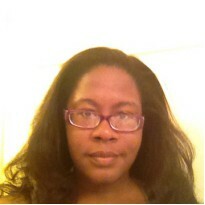 I will break down the things I liked and didn't connect with, but first I will give a quick synopsis of the book. 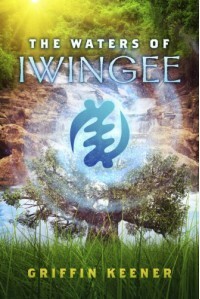 The Waters of Iwingee follows the adventure of two siblings, which I take to be African-American, named Kail and Mani, in a race to find a way to help their grandmother when she falls ill. One would think this would sound easy, but take in mind, the siblings are taken to a different world that disturbs everything they know about their normal. That this book is heavily rooted in lore and culture from Africa. I would suggest mainly Western African, but there are other smaller elements that come from other places in the African continent. I probably havent mentioned this, because I havent had a strong reason to(mainly because she's never made an appearance in any books I've read) but my favorite mythological god/goddess is Yemayah(or Yemaya). Much of the spirituality from Africa was lost due to colonization, and the culture became distorted and demonized over the years. For the most part European gods do the same things, if not more, questionable things, but are often celebrated for this power. Maybe because Im a Black Cuban, I feel so connected in Yoruban culture, but I found that the ideas and the choice of creatures, as well as characters were good fits for the story. I believe the presence of two black children in a fantasy novel, would most likely instill confidence, at an age it's needed most. Especially because one is a boy and one is a girl. Black children dont get their stories told enough, but for geeks like me, I never saw myself in fantasy growing up as a child. The title is also attention grabbing, and makes me wonder what it's about, and suggests I will get to experience culture outside of this "default" we've been forced to almost always pick up upon looking for a decent fantasy book. The book has good world building, and brings many mythological creatures to life that I dont get the pleasure of seeing much. The writing style. I wanted to rate this book higher, because the premise alone is what I typically look for. But I think it would have been a stronger book with a harder edit. Details at time werent as clear as I wanted them to be. And sometimes events I had to read several times, because I wasnt sure how it had gotten to that point. I think an example would be best to showcase this. Kail's bully Kendall, was picking on him in his favorite class. Kendall threw something at Kail, but the next moment, Kendall was provoked to chase him outside of the classroom. There wasnt any signs that suggested Kail had hit Kendall to provoke him to react this way. I wasnt sure what had gotten Kendall so angry. This has nothing to do with editing, but I wondered why very little was done about the bullying, when it was painfully obvious, as it didnt seem as though Kendall cared about having witnesses. The Point of view isnt clear enough at times. Many times, I would get so frustrated, put down the book, and take some time off, because between the writing style, the POV, the editing, I had several brain farts, but I wanted to finish it until the end. The editing affected it's pacing for me. I didnt give it any points for editing, but had the editing been stronger, it would have been that much better. It would've been a full point higher, as I find that my biggest issue is mainly with the editing. The character descriptions are just ok. I found that a few white or fair skinned(and minor) characters were described, but I didnt get a strong sense of Kail and Mani's appearances. Kail supposedly had dark skin. But I knew more about Mary/Yemayah's appearance and Kail's teacher, than I knew about Kail and Mani's. Perhaps this was to keep racial ambiguity? I believe knowing the races of characters is not a bad thing. While people of color need to see themselves as heroes, white children need to as well, so it becomes as normal for them as seeing themselves. So that was my only complain with that. The cover is just ok. I dont dislike it, but I dont connect strongly to it either. I believe I would have a better appreciation for this book if the editing were much stronger. I would even read it again, and probably get something more from it if it were reedited. It was difficult to rate, considering I liked what it was about, but not as much as how it's written. It leans back and forth between two numbers for me. But I think the ending has me curious to know if a sequel is in the works.